Want all of the Perfect Connection videos and over a thousand new lessons? Create a FREE GolfSwing account and get a special discount code AND weekly FREE videos. ARE YOU READY TO FINALLY BREAK 100, 90, 80, 70? Join instantly. Cancel Anytime. 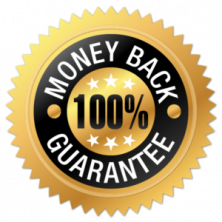 100% no-risk money back guarantee. Watch our ever growing collection of signature golf instruction programs. Practice when you want, where you want, and what you want. On demand. Take your new skills to the course. See what works. Repeat the process. Real Comments from Real Amateur Golfers. "These drills really helped me win my flights in the city championship and the Senior city championship. I would suggest them to everyone!!" "I am a believer in your work and it has added distance to my over all game and my driver is longer than ever." 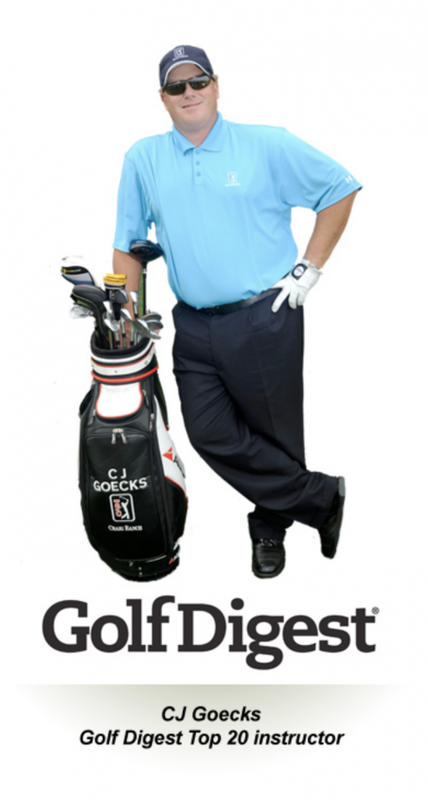 "CJ Goecks has been my go to online instructor. I have a bad back and his Perfect Connection swing has allowed me to play good golf and avoid additional damage." "Love your online lessons. I know that you teach Professionals, but I love how you still put so much focus on amateur golfers as well." "Your short game lessons have completely transformed my game. I tried Pelz and Utley in the past, but your coaching outperformed them both"
"Your teaching methods make the golf swing seem so simple. Since joining, and watching your videos, I have avoided the injuries that almost made me quit the game." "The Worlds Most Popular Online Instructor"
Why is My Teaching Better? I have taught Tour Pros on every major Tour, including Major Champions, but I have never stopped focusing most of my time on helping amateurs get lower scores and stay injury free. Being an originator of online golf instruction has helped me reach almost every country in the World with my instruction and has made me the Worlds most popular online golf coach. After a college golf injury ended my playing career, I decided to teach the game I love, and I made it my mission to find a golf swing that amateurs could use that would help with injury prevention. I started by studying under 2 of the top Instructors in the World - David Leadbetter and Jim McLean. I eventually branched out on my own and started an Academy with Dr. Troy Van Biezen and Damon Goddard (both work with Jordan Spieth and other PGA Tour Pros). It was during this time that I was able to study 3D models of the swing and start developing my Perfect Connection Golf Swing methodology. The PCGS swing is a golf swing that is centered around the amateur golfer. I understand that professional swings are not attainable by most golfers and work within the limitations of most people. I specifically target the 5 most common injuries and create drills that prohibit poor motion in these areas. This is a slightly shorter swing than what people think of as a "traditional" swing and gives each individual the luxury of tailoring the swing to their body. We use shoulder plane like many long driver hitters and we teach the proper release, but most importantly we focus on proper setup which is a key area that causes many golfers to get injured. What Else Do I Get with GolfSwing? 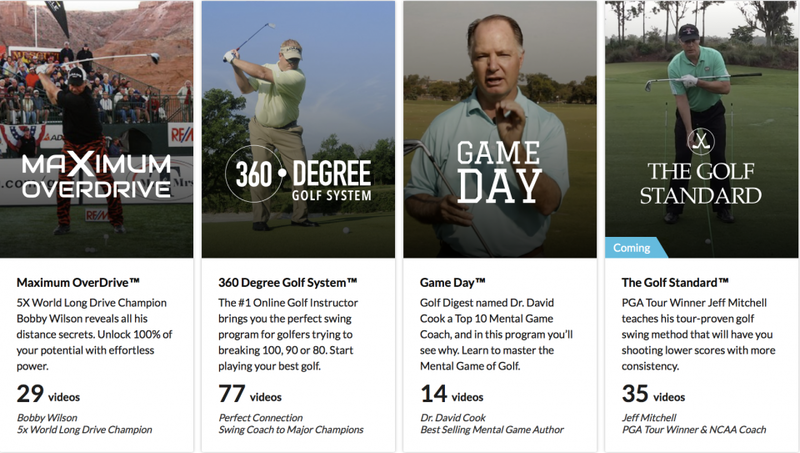 Get YOUR Fix with hundreds of videos in over 15 Online Academies that cover every part of the golf game. Easy to follow video Series that will help you improve any part of your game. We are always adding new Pros to our site. We look for coaches that work with amateurs like YOU. Improve Your Golf Game Regardless of Where You Start. You Don't Need to Swing Like a Tour Pro. We Take YOUR Swing and Make it Better. You Have Nothing to Lose Except Strokes.